Joe Denton doesn&apos;t have a wife, though. His died before she could follow him to Seattle and now the local judge is threatening to take away his claim. In desperation, he buys himself a Mercer bride--one of the eastern widows and orphans brought to the Territory by entrepreneur Asa Mercer. Anna Ivey&apos;s journey west with Mercer is an escape from the aftermath of the Civil War. She signed on to become a cook--not a bride. 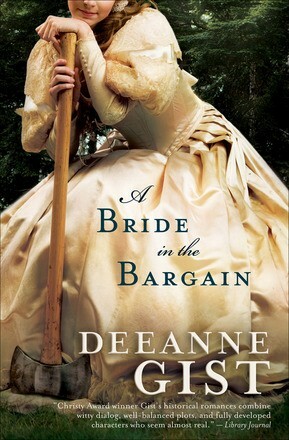 When she&apos;s handed over to Denton, her stubborn refusal to wed jeopardizes his land. With only a few months before he loses all he holds dear, can he convince this provoking, but beguiling, easterner to become his lawfully wedded wife?